This product contains rich sources of Omega-3 fatty acids that are essential to preventing and managing heart diseases. It also helps promote healthy blood circulation. It is manufactured in an FDA registered facility using Good Manufacturing Practices (GMPs). It meets and exceeds pharmaceutical grade requirements and is molecularly distilled for ultra purity. To know more about this product including its ingredients, suggested usage, adverse effects, price and discounts, read the full review. The manufacturer claims that this supplement intends to be a convenient source of Omega-3 Fatty Acids (360 Mg EPA and 240 Mg DHA). It is advised to take two soft-gels three times a day. 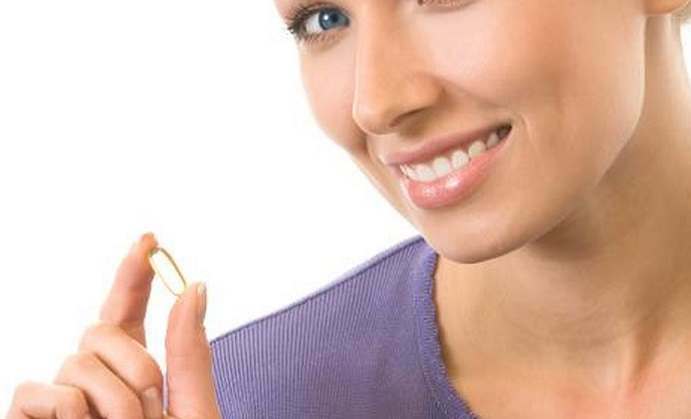 The price of one bottle of Wonderlabs Omega-3 Fish Oil containing 100 soft-gels is $6.59 on the manufacturer’s website. A 250 soft-gels bottle costs $14.99. The price for both sizes includes a 60% discount on the manufacturer’s website. The manufacturer also encourages potential buyers to subscribe to WonderLabs.com newsletter and take advantage of their offer for 10% off on the first order. WonderLabs also provides monthly deals, promotions, giveaways, and coupons and notifies their registered members of the “Deal of the Day” which may include 24% off one item each day and this may be applicable for the Omega-3 Fish Oil product as well. On Amazon, one bottle containing 250 soft gels costs $17.99 which is cheaper than the list price of $29.99. This helps you save $12 which is around 40%. You should not take this product if you have or have had recent surgery or a bleeding disorder, are pregnant or lactating or are taking blood thinning medications. Since this product is not meant for children, it must be kept out of their reach. It should also be stored at room temperature, 59°F/86°C. This product is backed by a “‘Manufacturer Direct – Money Back Guarantee”. However, further information regarding the money back guarantee is not stated on the product label or on the manufacturer’s website. This product barely has any user reviews online, which makes us uncomfortable. 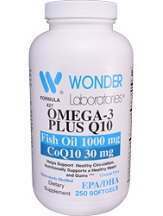 Wonderlabs Omega-3 Fish Oil is molecularly distilled for high levels of purity. The fact that this product meets and exceeds pharmaceutical grade requirements indicates the quality of ingredients used. It is highly safe as it is free from gluten and mercury. It has been formulated in a way that it can support healthy blood circulation and to aid in one’s overall well-being. Although the manufacturer has advertised a money back guarantee, there is insufficient information on returns, refunds and money back guarantee, which may be disappointing for potential buyers. This product does not have many positive customer reviews, which is sometimes a sure sign to stay away from it. Since this product contains fish, it may cause allergies in some people.